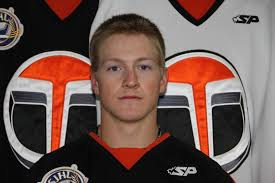 After helping the Colorado Eagles capture the ECHL's Kelly Cup championship last season, Yorkton Terrier alumni Chase Norrish (pictured above) can add another big title to resume. 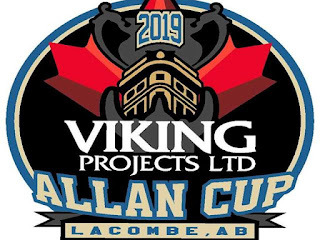 Norrish helped the host Lacombe Generals win the historic and 2019 edition of the Allan Cup on Saturday after defeating the Innisfail Eagles 5-2 in the championship game. The Strongfield, SK product who was also named the tournament's Top Defence, chipped in with 1G 2A for 3 points in 4 games. Norrish spent 3 seasons with the SJHL's Terriers from 2011-14 helping them win 2 Canalta Cups ('13,'14), a Western Canada Cup ('14) and the franchise's only RBC Cup National Title in 2014.